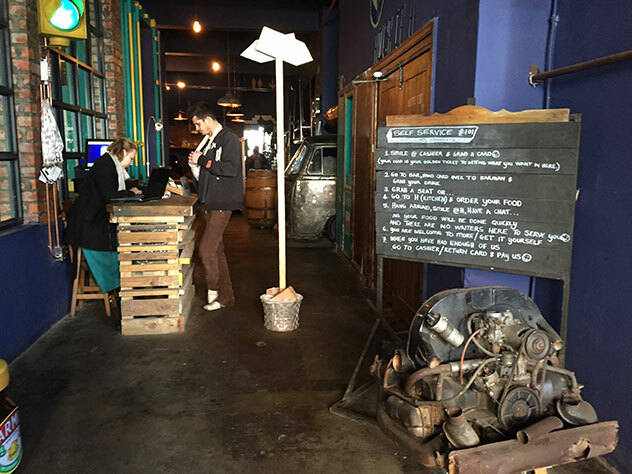 House of H is the new eatery on the Cape Town CBD’s once-forgotten child, Loop Street. 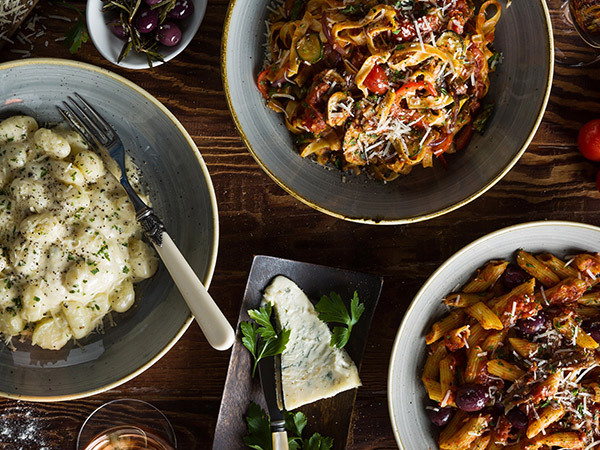 Heinrich Koen (ex executive chef of the Madame Zingara Group) is the “H” behind the name, and he’s introduced a novel dining concept in the Cape Town CBD. Forget being waited on hand-and-foot; or, as a matter of fact, at all. House of H is an entirely do-it-yourself experience. On arrival, each guest is presented with a point of sale card (the same card that waiters use to ring up your bill). You order directly from the chef, grab your own drinks and ring up your own bill. Parking: It’s on Loop Street, so standard CBD parking rules apply. Expect to circle the block for a bit, anticipate a short walk – and don’t forget to pay the parking marshals. 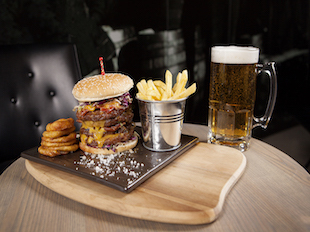 Best for: A takeaway work lunch or steak, burgers and beers with mates. 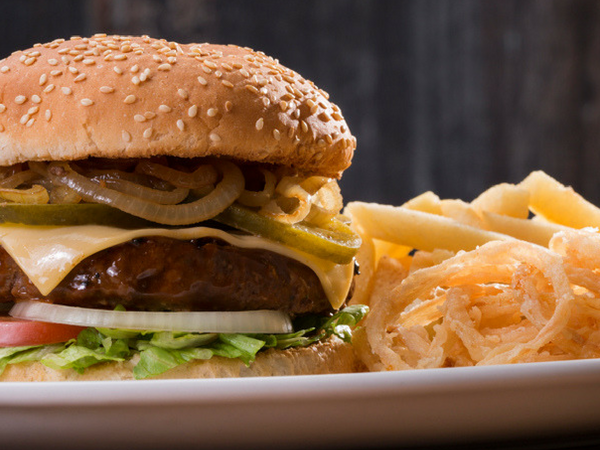 Food type: Burgers, steaks and hearty salads. 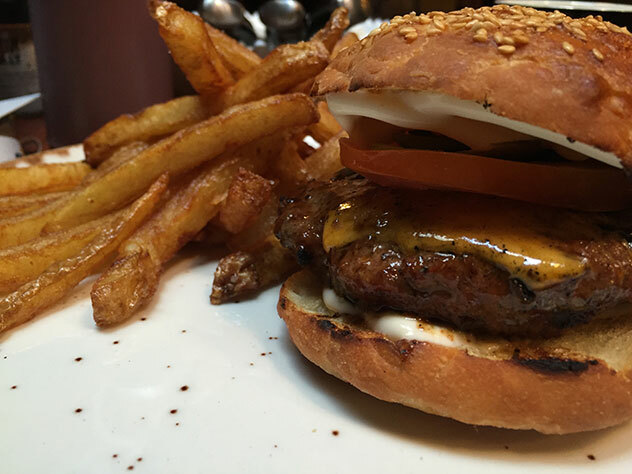 The burger gets the thumbs up, and the chips are perfection. Photo by Amy Ebedes. 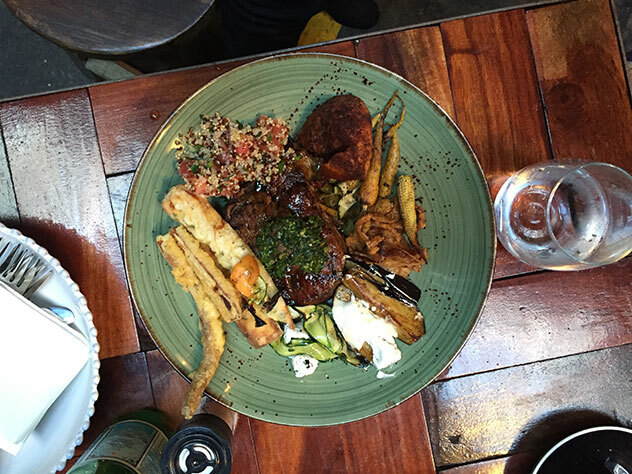 Unbuckle the top button of your pants: the portions are hearty and flavoursome. We order the cheeseburger with fries, and the 250g rump with salads. H recommends the burger be cooked medium. We gladly oblige. You’ll want to roll your sleeves up for this guy. It is simple, yet succulent and delicious. The beef patty is served on freshly-made ciabatta with cheddar, pickles and tomato. The chips, in particular, are perfection. They’re golden, they’re crunchy, and they’re on the right side of salty. As there’s no one to stop us, we decide to try almost all of the salads. Photo by Amy Ebedes. The steak is cooked medium rare (again, H’s recommendation) and is expertly cooked. 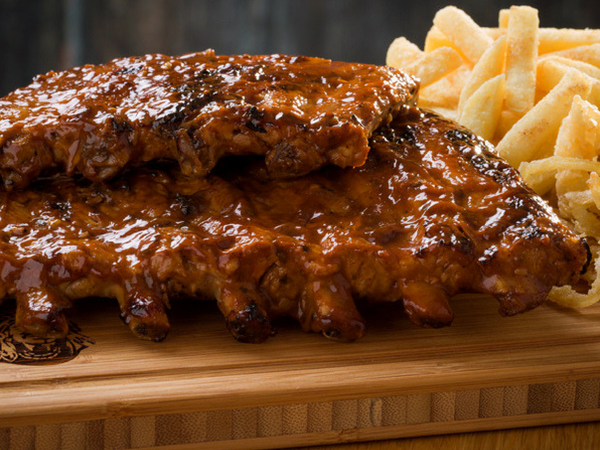 It is served with our selection of salads. There doesn’t appear to be a limit to the amount of salad you can have (“until the plate is full”, the server advises), so we try almost all of them. There’s tempura parsnip, roast veg, quinoa, roast potato, zucchini and feta. They would make a great option for a quick work lunch, especially as all food is available for takeaways. A small salad is R60, whereas the large is R90. 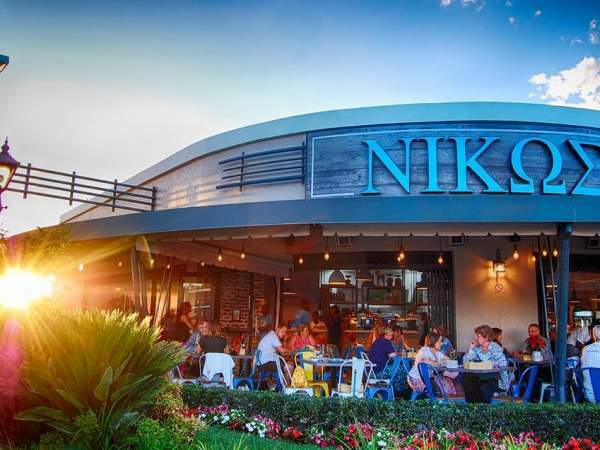 Other lunch options include 16-hour roast brisket sandwich (R99), fish and chips (R80), steak roll and castle lite (R99); as well as chicken or oyster ‘shroom burger (R75 and R70 respectively). For dessert, there’s a koeksuster waffle with matcha crême fraîche and fresh berries. Sadly this doesn’t quite live up to our excitement – we’re very particular about our koeksusters, and this one is chewy rather than crisp and sugar soaked – but we’re a little (read: a lot) full from mains and need to spend the rest of the day at our desks (rather than assuming a food-coma position), so we’re not too upset. 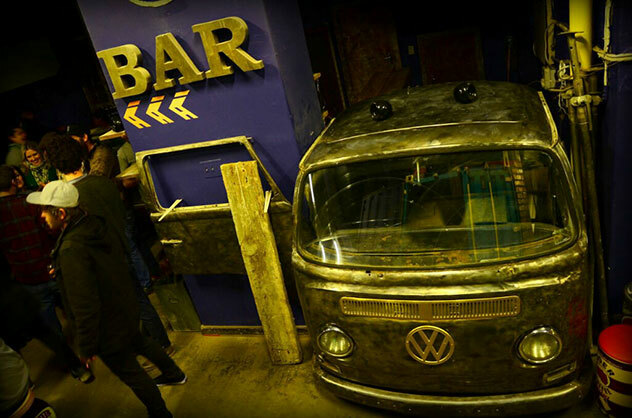 An old VW bus serves as a bar. Photo supplied. House of H has a fully stocked bar with all the usual suspects. Coffee is made from Deluxe Coffeworks beans. If you’re not looking to sit down, grab an expertly-made Americano to go from the coffee shop at the entrance. The interior is offbeat and hip. Photo by Amy Ebedes. Simply put, there is none. This is a self-service style restaurant. 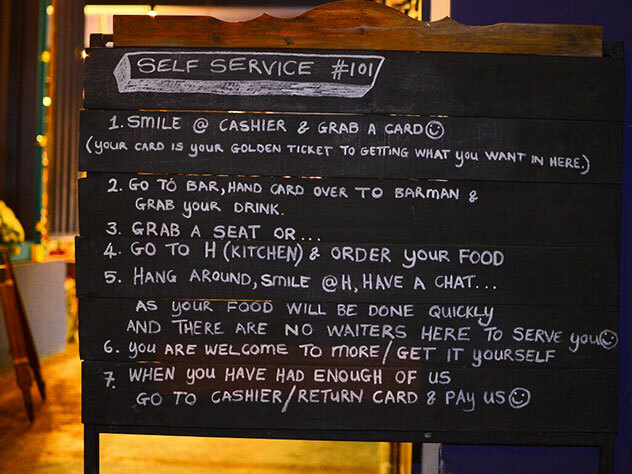 Patrons are issued with the POS card at the entrance, and a sign explains the procedure that will follow. Patrons are instructed to “order from H”. Initially this is a little confusing, as it’s not immediately apparent who (or where) “H” is. The only person on the floor is a runner who quickly explains that his only job is to clear away dishes, which he does rather swiftly. We soon figure out that we need to go to the “meat” counter – which is where we meet H. The idea is that he talks you through the options, you inspect the cuts of meat available and, after placing your order on the POS system by swiping your card, you’ll be directed to the salad counter to continue with your selection. In H’s absence, you ring up the order yourself. The bar follows a similar style: order your drink from the barman, he swipes your card to add the drinks to your account, and you grab your glass on the way back to your table. The many other pillars of the business (tattoo parlour, rooftop bar, gaming lounge) will open soon. Photo supplied. This self-service style is a great concept – in theory. Once you’ve figured the system out, it’s relatively swift and easy, but a little more signage (a simple “Order here” would suffice) or guidance on the floor would go a long way. The main menu is outside the restaurant (not inside where you’re seated), so be sure to take note of what you want on the way in. It’s quiet when we visit, but it’s likely to get quite chaotic once they’re in full swing (which, with the quality of the food, is bound to happen). A huge bonus? Because each guest gets his/her own card, there’s no confusion when it comes to paying the bill at the end. Simply swipe your card on the way out, and settle the amount on your account. It’s grungy, alternative and interesting. The space used to be an old parking lot, and they’ve left elements of it raw. The old parking lines are still visible, and an old VW mini bus serves as the bar. The walls are lined with growing herbs and vegetables (including oyster mushrooms) and much of the interior has been made from recycled furniture and clothes. If you’re in need of a quick shave or haircut, there’s an on-site barber and, soon, you’ll be able to get a tattoo when you’re done with lunch. A gaming lounge, driving range and tattoo parlour is opening on the 8th floor, just in time for summer. 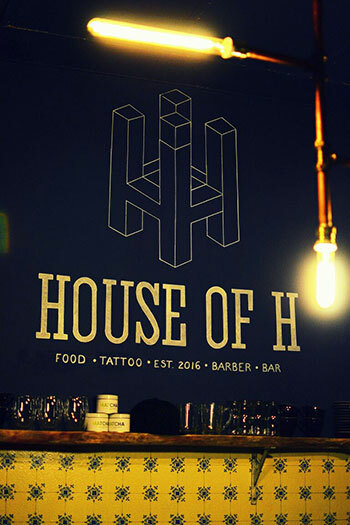 Have you been to House of H on Loop Street? 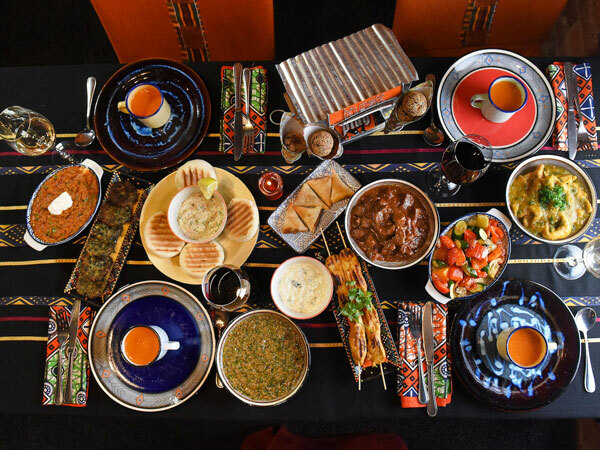 Write a review now and put them in the running for the Eat Out Mercedes-Benz Best Everyday Eateries. Eat Out critics dine unannounced and pay their own way. Read more about our editorial policy here.